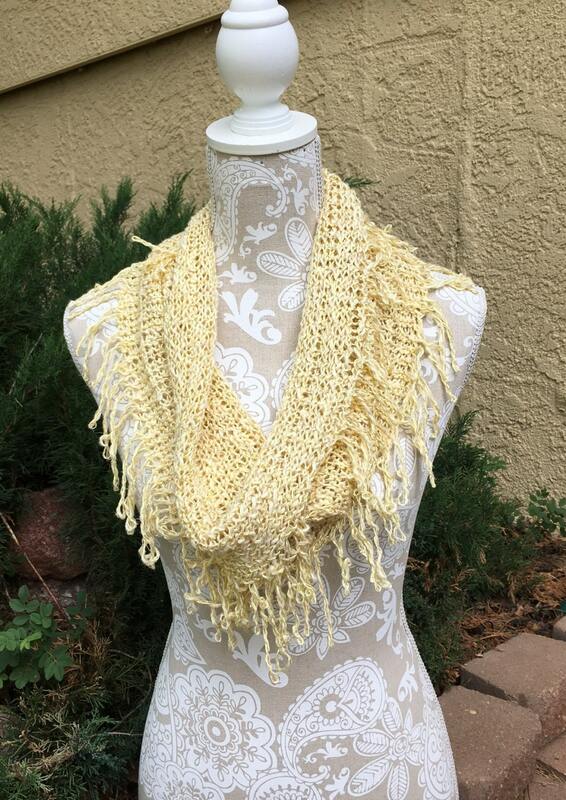 The Fringe Benefits Cowl is a light and airy cowl that is loom knit with approximately 215 yards of a sport weight #3 yarn. 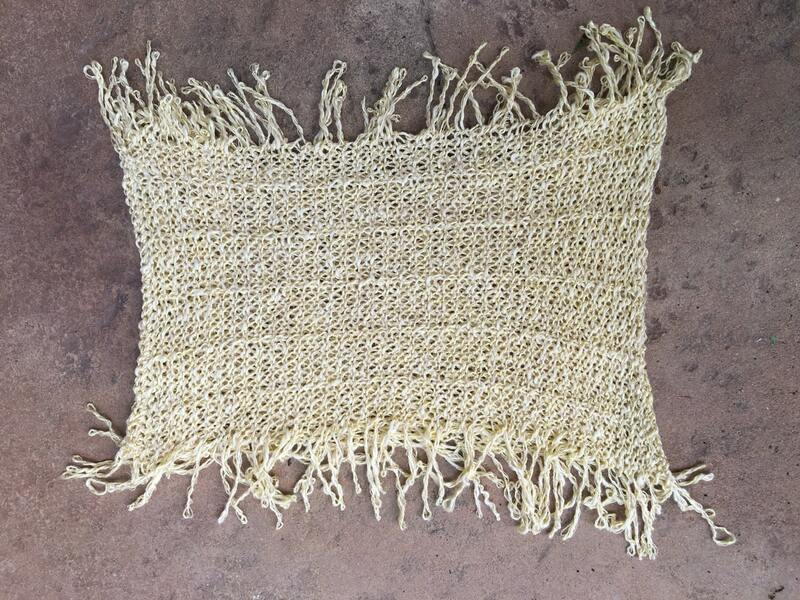 The yellow sample was knit with Ice Yarns Valencia on a 3/8" gauge loom (like the All N One loom). The striped sample with knit with 165 yards of Patons Kroy Socks yarn in the Blue/Brown Marl colorway. 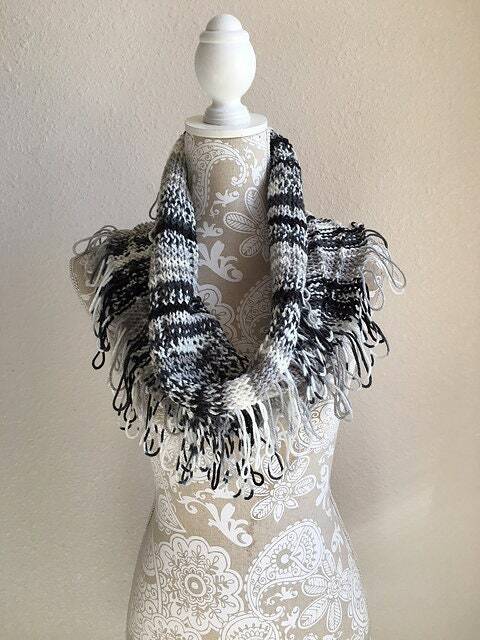 The benefit of this pattern is that the fringe is knit right along with the cowl, thus eliminating the tedious task of cutting yarn and attaching to the cowl. The pattern includes detailed pictures to demonstrate the creation and unraveling of the fringe. 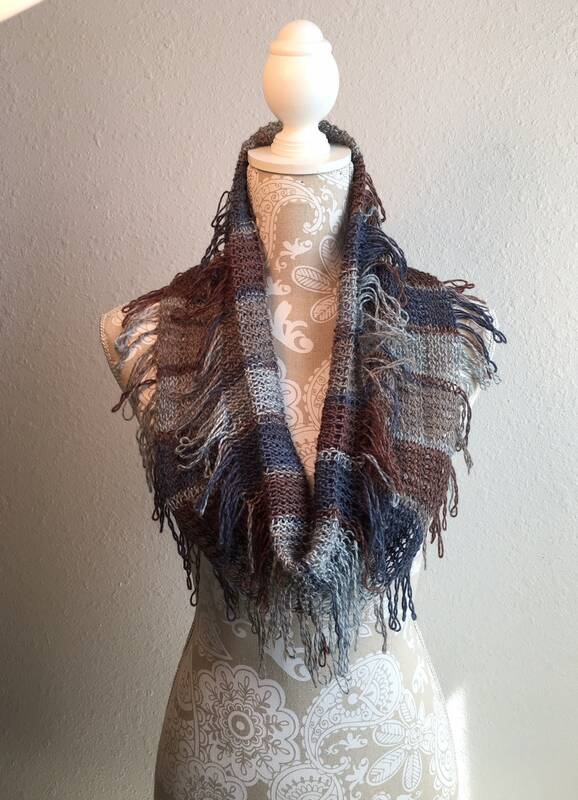 The only stitches used in this pattern are e-wrap knit, u-knit, and purl. As such, the pattern is suitable for an advanced beginner.